The Galaxy Note series is the quintessential stylus-equipped smartphone. This time around, Samsung has significantly enhanced the S Pen via Bluetooth functionality. It also boasts an improved camera, more RAM and a bigger battery than its 2017 predecessor. But is it worth the eye-watering starting price of $1499? Let's find out. For the first time ever, Samsung has equipped the S-Pen with Bluetooth Low-Energy (BLE) which allows it to function like a tiny remote. While this might sound like a gimmick, it proves useful in a variety of everyday tasks, from flicking through gallery images to activating the camera's shutter during arm-length selfies. Naturally, if you're a business user the stylus will also prove handy during PowerPoint presentations and the like. You can expect Samsung and its partners to take full advantage of this functionality via Android apps specifically designed for the Note 9 moving forward. Personally, I've never been a big fan of phone styluses, but the latest S-Pen has definitely made me a convert. Samsung has added a few tweaks to the camera's inner workings, including a new AI-enhanced scene optimiser tool and superior image processing in low light situations. The end result is that the Note 9 tends to take better looking photos than the S9+, despite using very similar hardware. In other words, it's one of the best phone cameras that money can buy. Special mention must go to the 4,000mAh fast-charging battery. Many phone manufacturers claim that their batteries provide a "full day" of usage, but in Samsung's case this boast is actually accurate. You can expect to receive around 15 hours of battery life between charges which is very impressive for a screen size this big. If you regularly use demanding applications such as 3D games and video players, all that extra juice is going to be a godsend. That RRP is definitely tough to swallow - especially the 512GB model which will set you back almost $1800. By contrast, the excellent Samsung Galaxy S9+ can be snapped up for around $1000; and that price will continue to drop in the months to come. If you have difficulty remembering which buttons do what on your smartphone, this becomes irksome very quickly. Thankfully, it's possible to disable this button or make it launch something else. This one is for the Note fans. 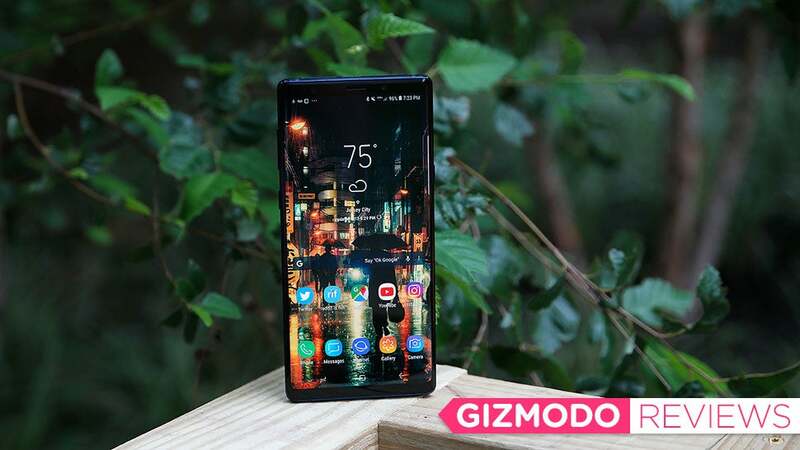 If you're crazy in love with your Note 8 (or are still clinging to the Note 5) you'll find a lot to love about the Samsung Galaxy Note 9. You should definitely consider it as your next smartphone. Click here to buy the Samsung Galaxy Note9 direct from Samsung. On the other hand, fair-weather Galaxy users would be better served by the Samsung Galaxy S9+ - it's a very similar phone for significantly less money. All you're really missing out on is the fancy stylus and some non-essential software improvements. Of course, the upfront cost can be mitigated by bundling the Samsung Galaxy Note9 with a mobile phone contract. Here are some of the main payment plan options. The new Samsung Galaxy Note9 is available for pre-order and the local telcos have fronted up with the plans if you want to go that route and not buy the latest phablet from Samsung. Here's what they're offering.